VA Loan Limits—How Far Do They Go? A common question homeowners ask when looking into VA loans is what are the caps or loan limits? Well, the VA loan program doesn’t have any maximum caps. In other words, a house costing $80,000 and a house costing $3,000,000 can both be covered through VA loans. However, if the house you are buying costs more than the VA loan limit for your area, a down payment will be required even though the house is still backed by the VA. This is because you are assuming more risk with a higher-priced home. Housing prices vary greatly across the United States, so it only makes sense that VA loan limits would also vary from county to county. Similarly, the VA loan limits are adjusted every year to keep up with market changes. VA loan limits are a common concern with many veterans seeking to purchase a new home. VA loans entail set requirements and prices, but the clearly defined VA loan limits allow any veteran peace of mind since they will know they won’t be forced into biting off more than they can chew. VA loan limits are determined by a few simple factors. counties of the country, the loan limit will be higher, up to $625,000 in places like to Hawaii, Alaska, Guam, or the U.S. Virgin Islands. In addition to the price of the home, the VA also sets other housing requirements, called MPRs, or Minimum Property Requirements. Your house must follow these guidelines in order to get VA loan approval. If you have questions about whether or not a specific property is suitable for a VA loan, the specific MPR guidelines can be found in the revised VA Pamphlet 26-7. Ultimately, a certified VA appraiser will have the final say in whether or not the home is VA approved. The price limit that the VA sets is almost without exceptions, but that isn’t a problem for most veterans. Studies show that the average price of a home purchased by a veteran is well under the loan limit of $417,000. Again, the limit is set according to national standards and median prices, meaning a majority of houses won’t exceed this limit. If you want to purchase a home over the conforming loan limit, there is the option of obtaining a jumbo loan through the VA. These loans are readily available to veterans, but unlike standard loans, a down payment is required. The MPRs also have exceptions. The VA may consent to change or adjust the MPRs when exceptional conditions occur in a similar geographic area or on the site of the home, making conformity impossible. They are especially flexible when both the buyer and the lender voice the issue in writing and there is sufficient proof that an exception should be made. 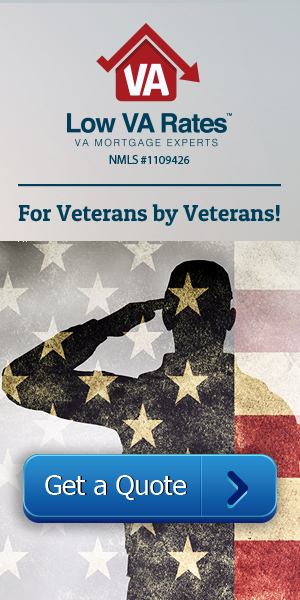 As a military veteran, to qualify for a VA loan, you must have served actively for 90 consecutive days during wartime, 181 days actively during peacetime, more than 6 years in the National Guard or reserves, or your spouse must be a service member whose death occurred in the line of duty or as a result of a service-related disability. If you fit one or more of these qualifications, you are eligible to apply for a VA loan. You are also required to have a COE, or Certificate of Eligibility. Without this certificate, you cannot qualify for a VA loan. To obtain your COE, you will need VA Form 26-1880 and a copy of DD-214, which shows your character of service. This is easily obtained through the Department of Veteran Affairs. The VA also requires that those who obtain loans have sufficient residual income, or income left over after all the bills are paid. This money is usually spent on food, clothing, entertainment, or anything apart from major expenses. They strictly enforce this requirement, which contributes to the fact that the VA has a very low foreclosure rate. These factors serve as further limitations to obtaining a loan through the VA, but they aren’t unreasonable and end up benefiting both borrower and lender. While the basics are covered here, the specifics of VA loan requirements can be discussed with your lender. If you qualify to receive a VA loan and are looking to purchase a house within these set limits, call Low VA Rates today.